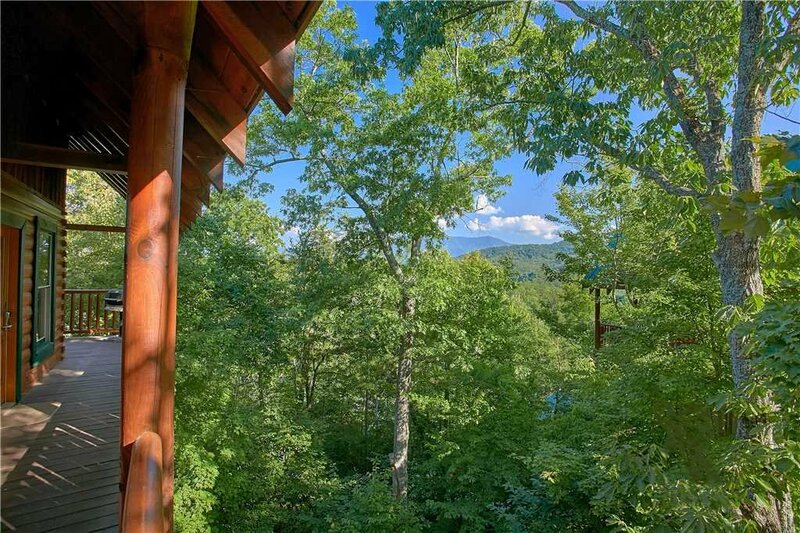 Be surrounded with lush rolling green foliage at the Treehouse. 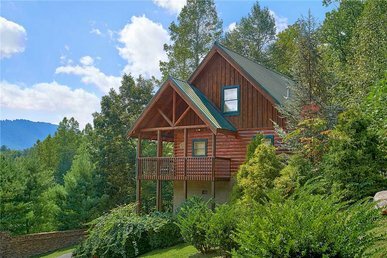 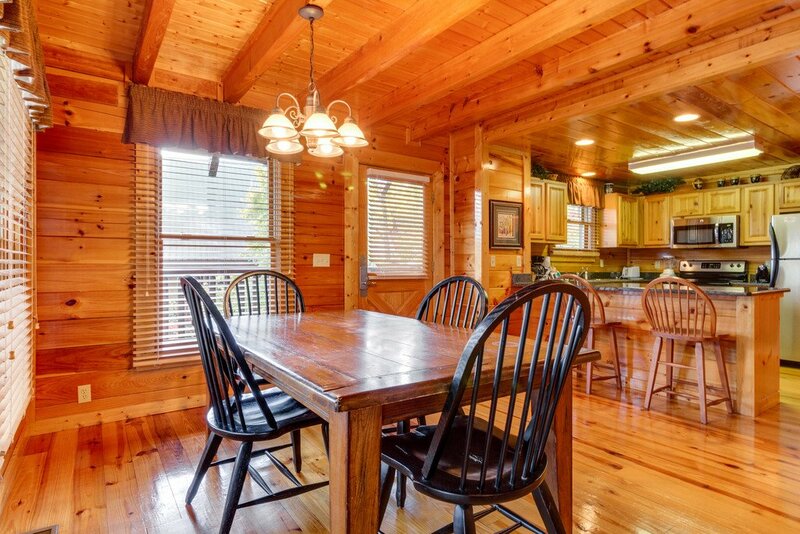 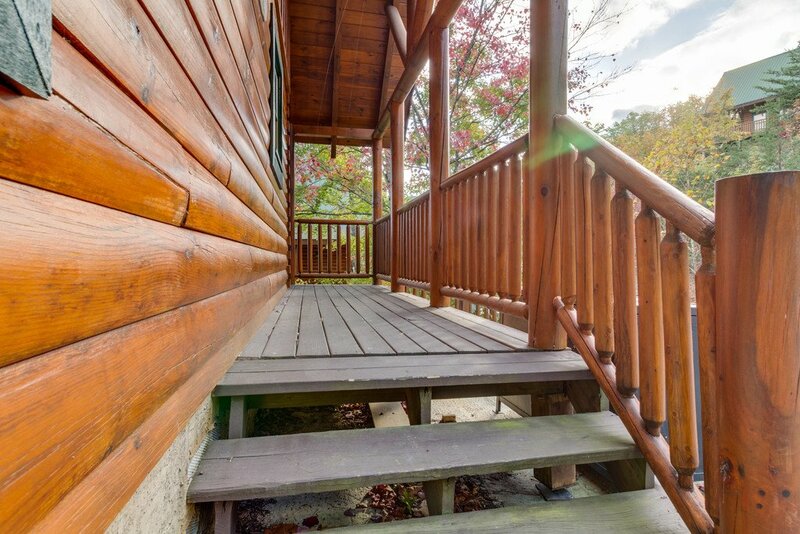 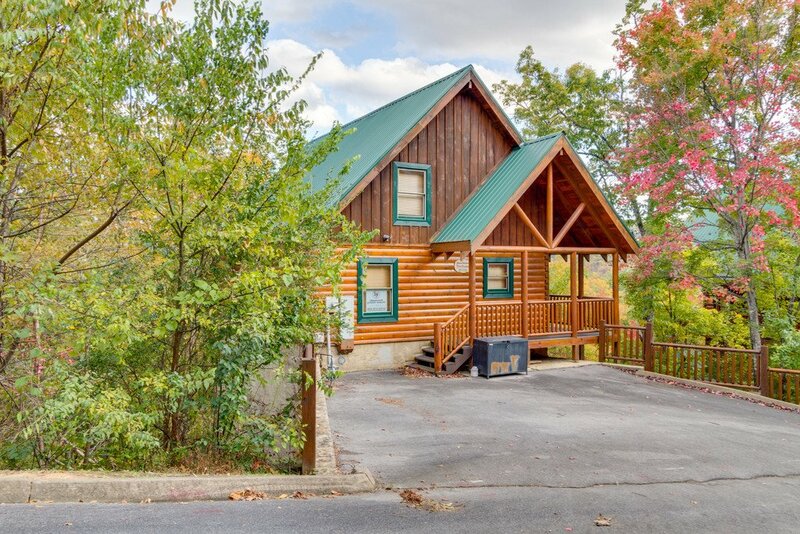 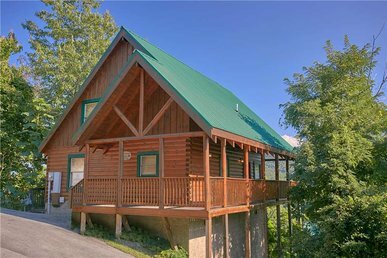 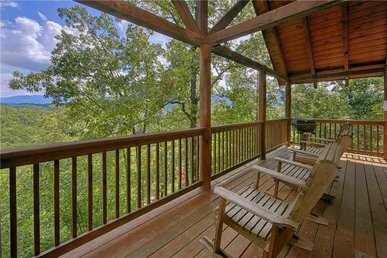 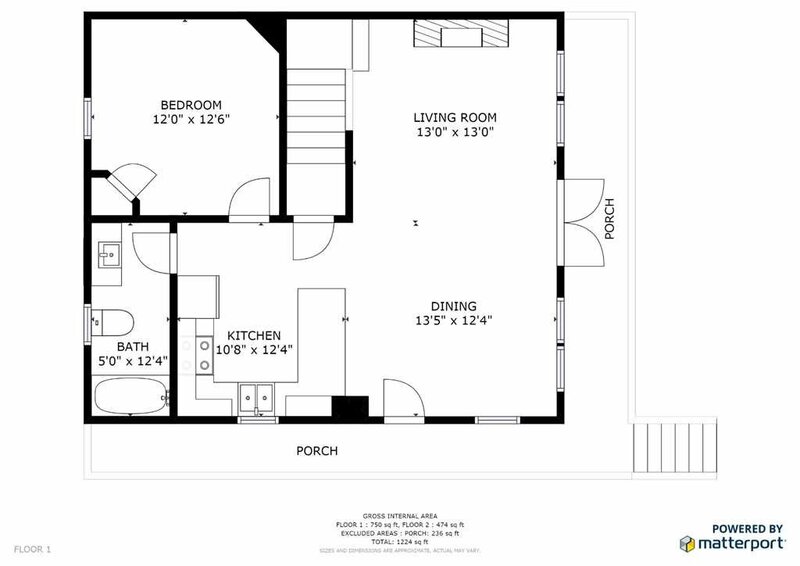 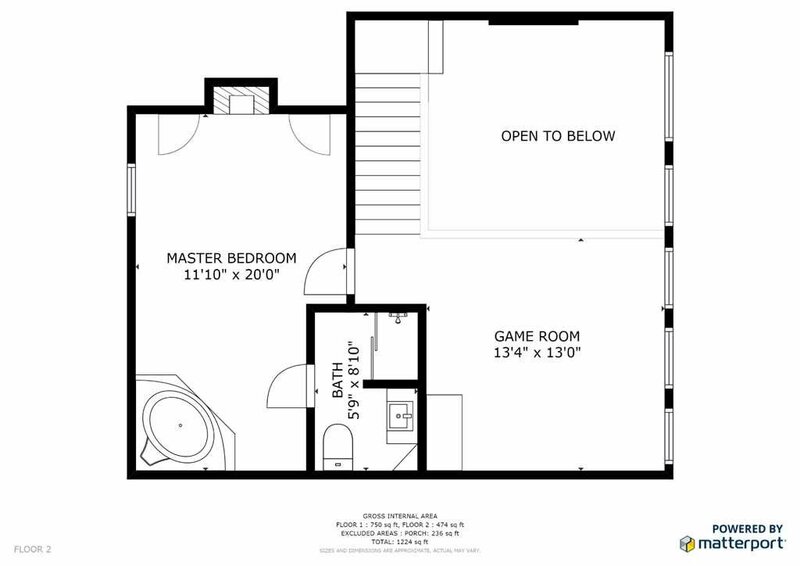 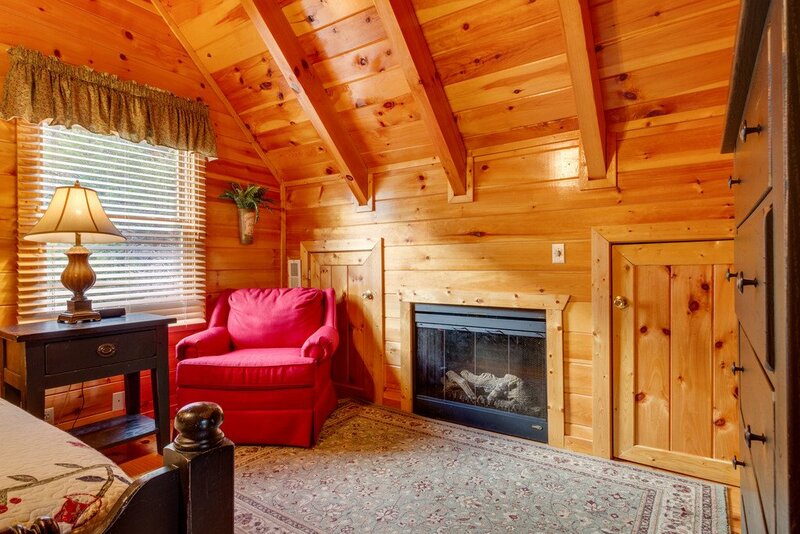 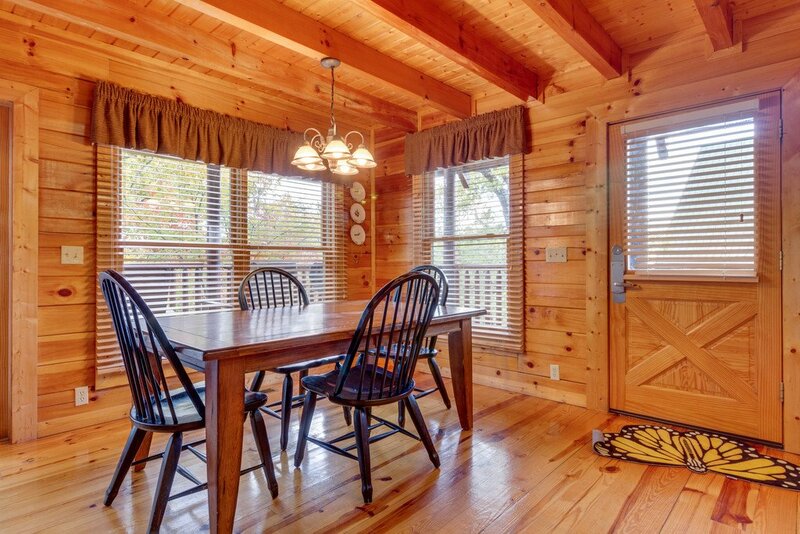 This 2 bedroom, 2 bath cabin that easily can sleep 6 has all you’ll need for a picture perfect retreat from your busy everyday life. 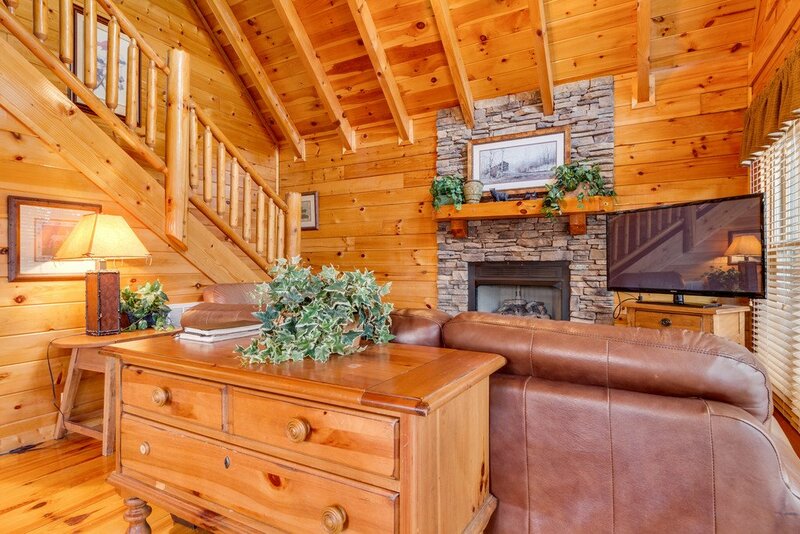 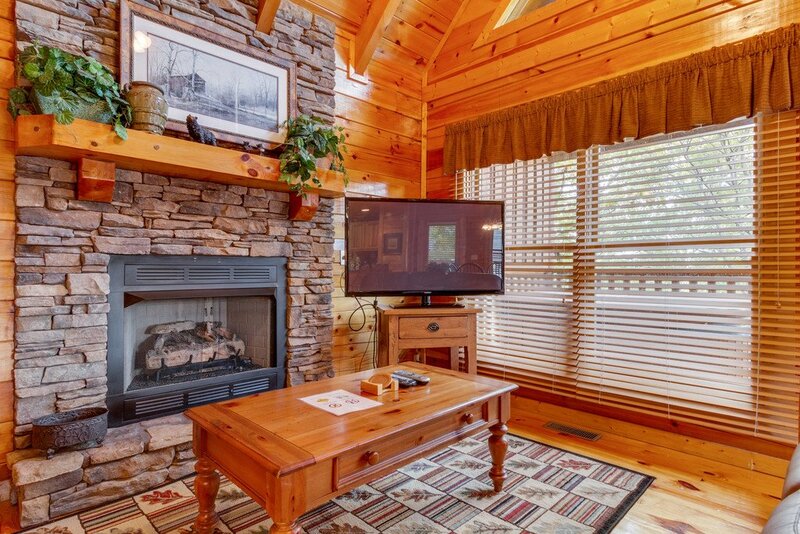 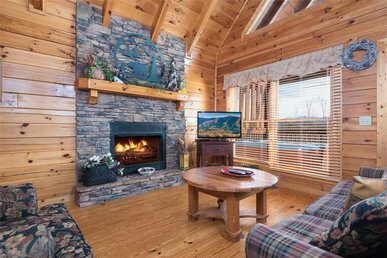 Kick off your shoes and sip an evening hot chocolate while the stacked stone fireplace takes the chill out of the mountain air and take advantage of the premium cable, DVD players and flat screen televisions after a long day of exploration. 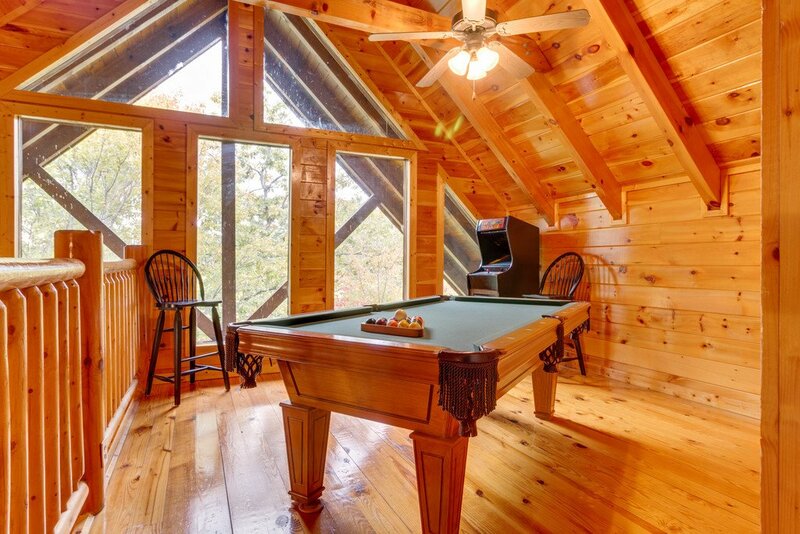 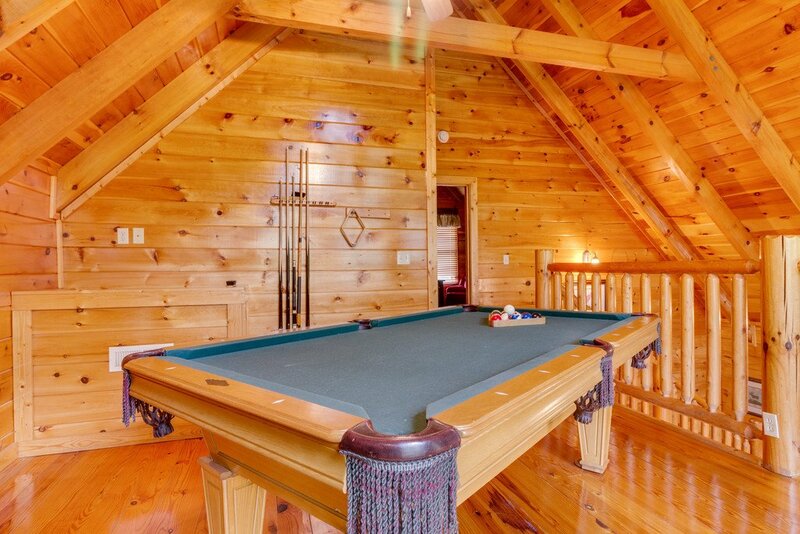 Head up to the loft to play a game of pool or an arcade game. 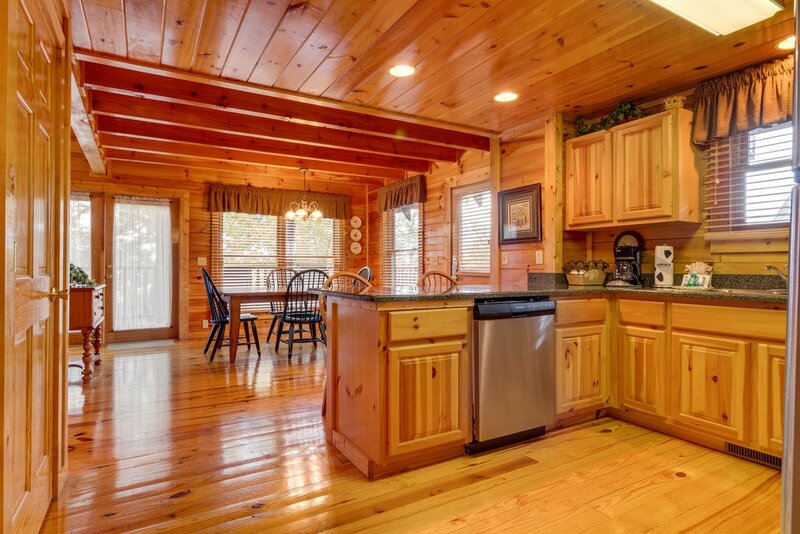 Prepare family meals and memories together in the fully-equipped kitchen featuring stainless steel appliances and granite counter tops and there is a gas grill available on the covered porch. 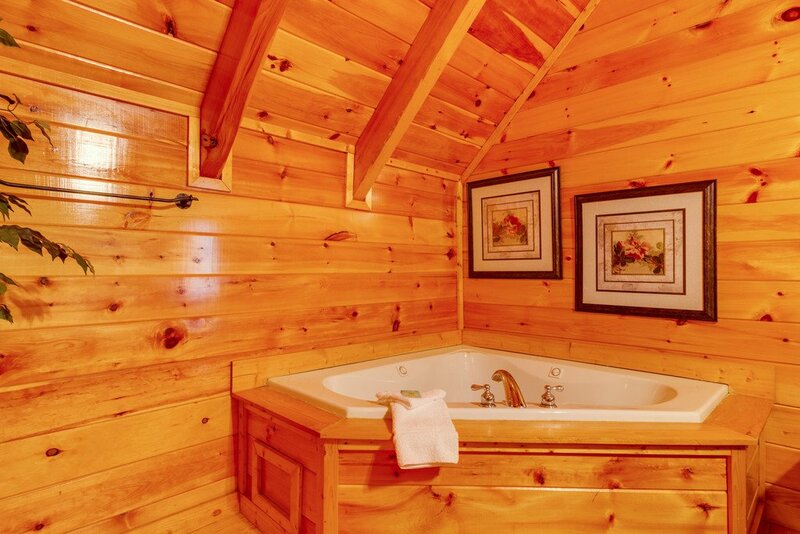 As the sun peaks out in the morning, forget your worries while the birds serenade you as you sip your morning coffee then sooth your over worked muscles with a soak in the private hot tub. 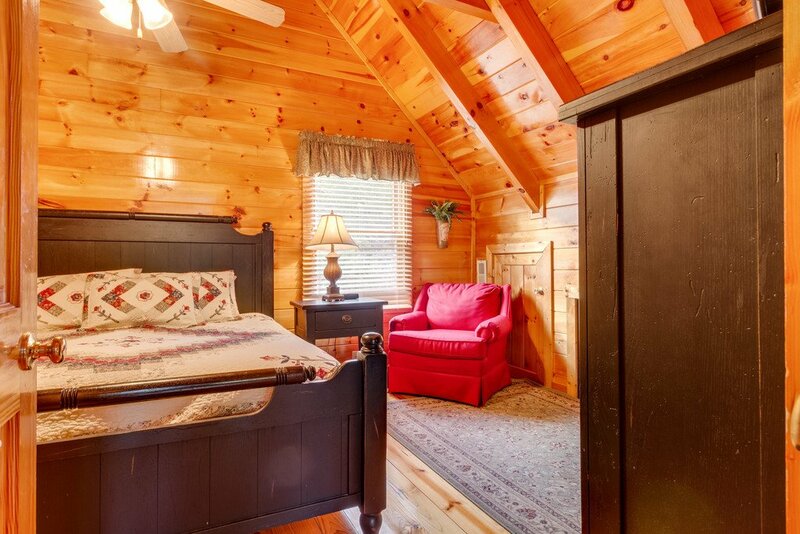 After a day of adventure, retire to the master bed room with a comfortable king sized bed, jetted tub, fireplace and cozy corner chair for quiet reflecting. 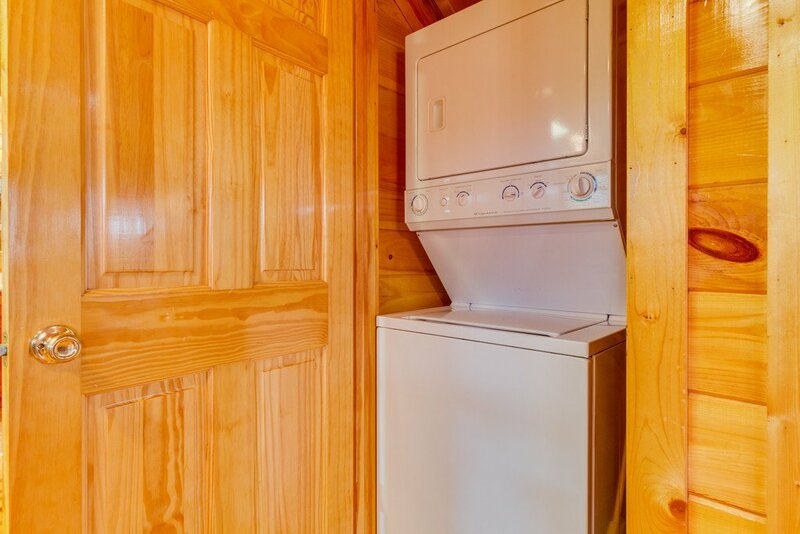 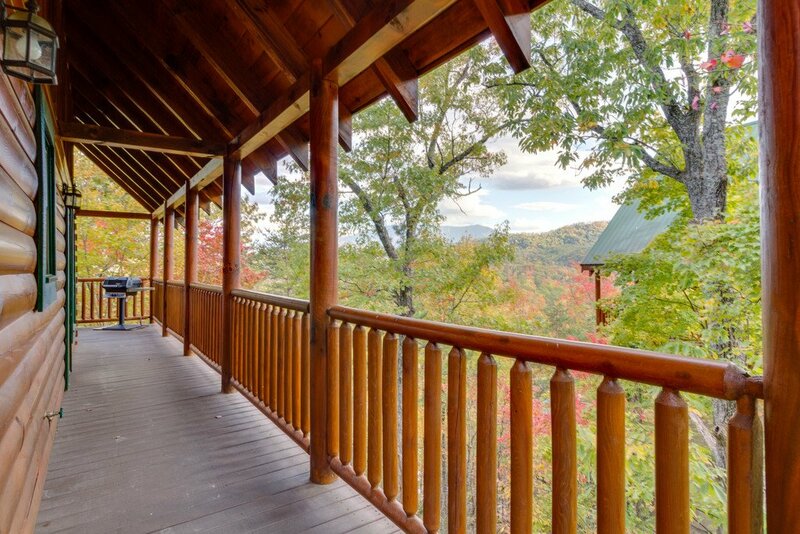 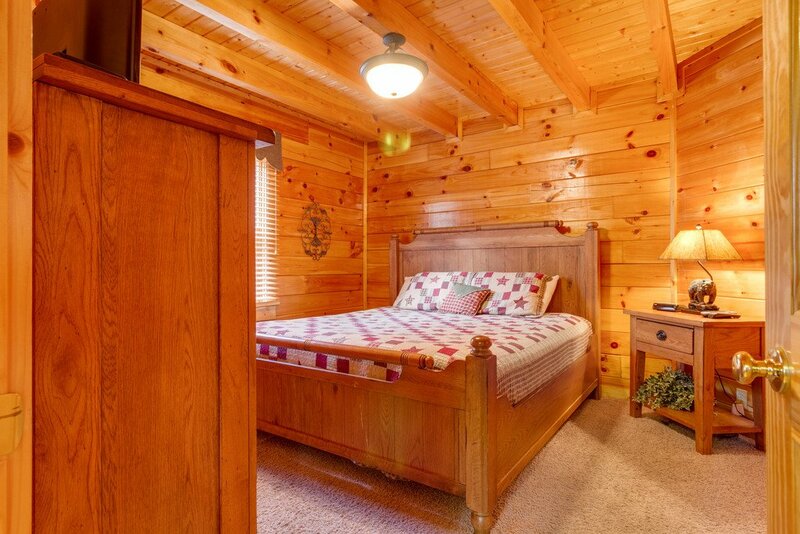 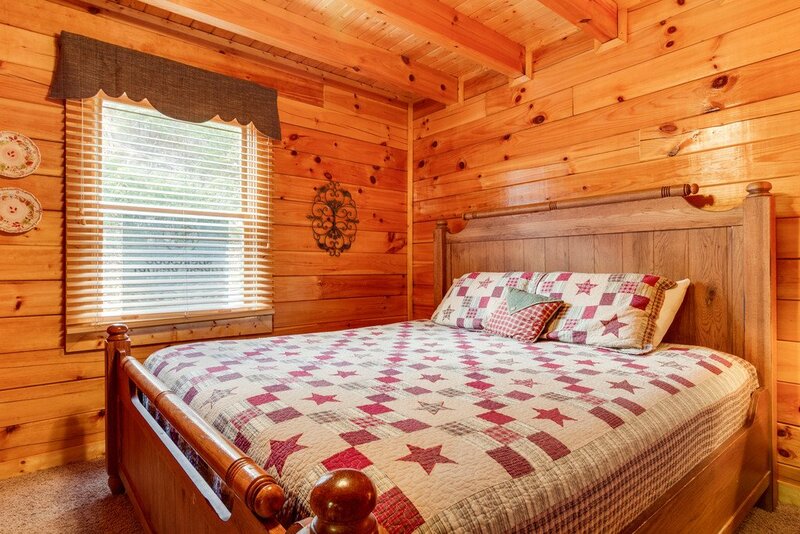 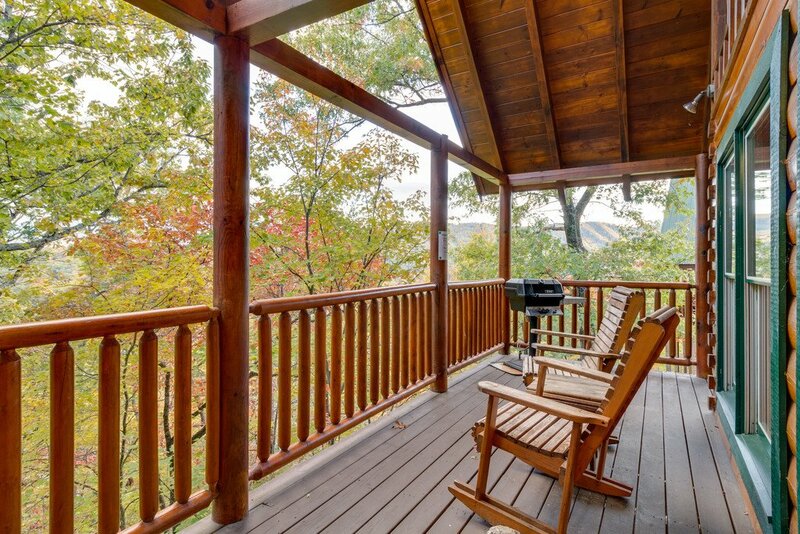 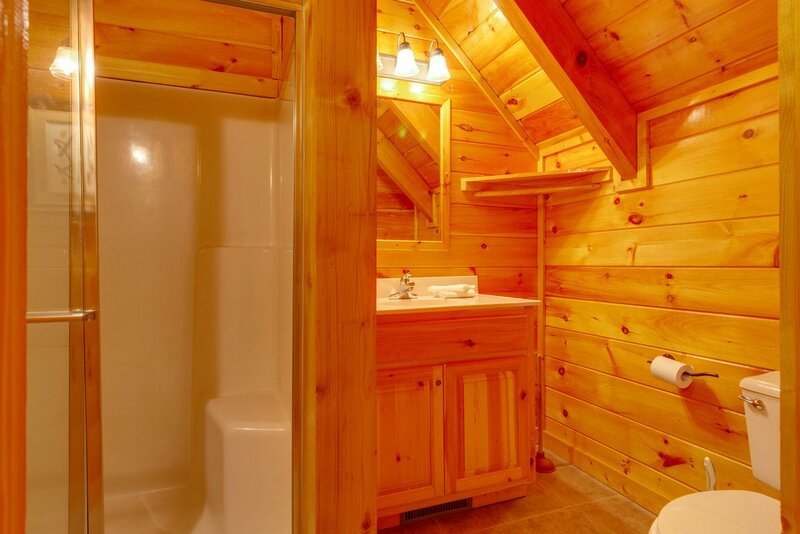 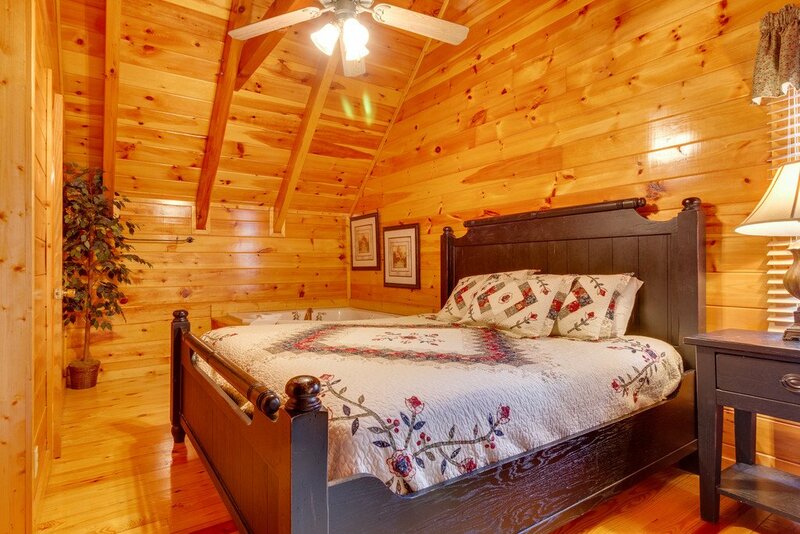 With all the luxurious amenities you could ask for, and its close proximity to Pigeon Forge and Gatlinburg, Treehouse will take you back to a more restful, relaxing time. 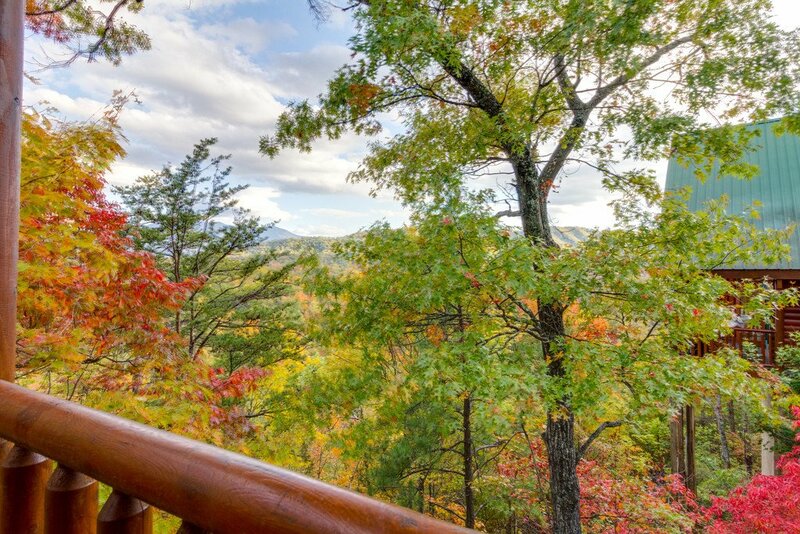 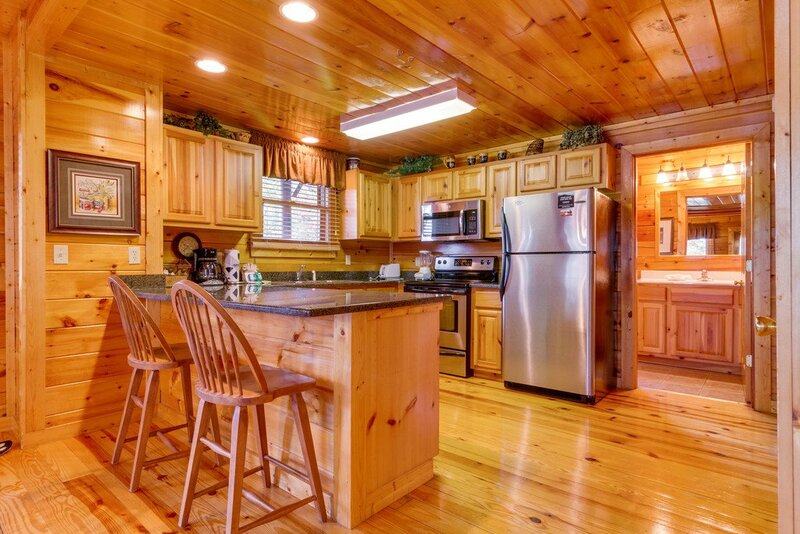 Sherwood Forest Resort is a quiet gated community just minutes from the Parkway and the heart of Pigeon Forge. 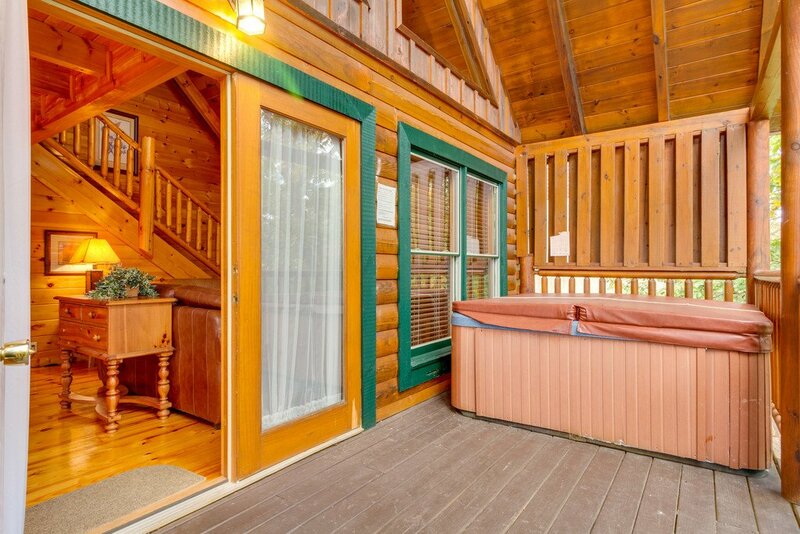 On warm summer days take a dip in the seasonal outdoor community swimming pool. 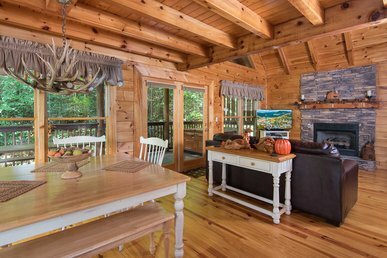 Check in is a breeze! 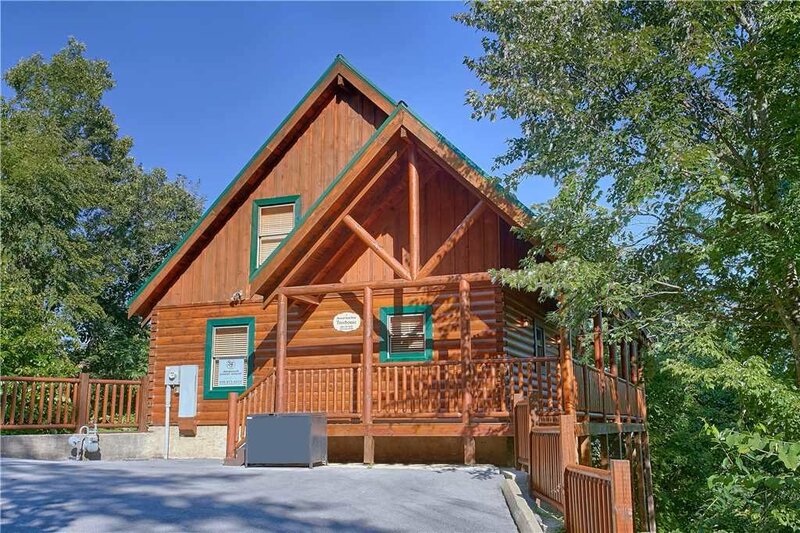 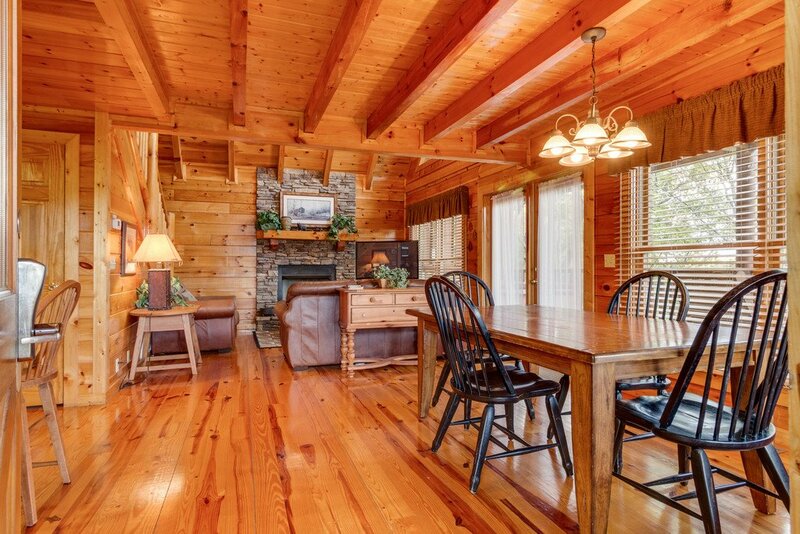 The office is located at the entrance and can be driven right up to begin enjoying the serene peaceful surroundings yet be only minutes from all the attractions of the Smokies. 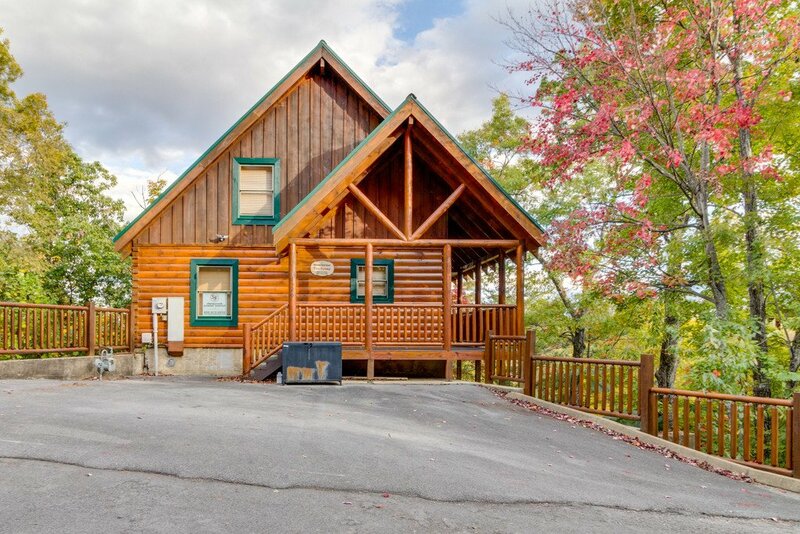 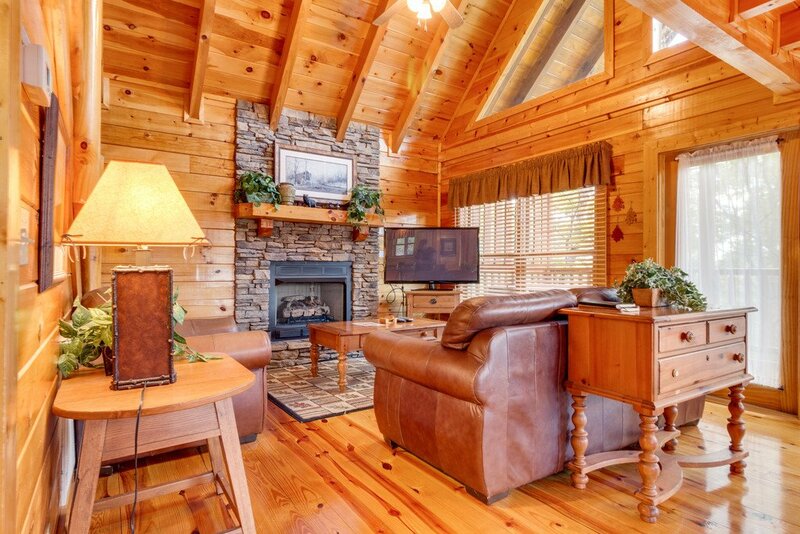 Less than 5 minutes from your cabin doorstep to the heart of Pigeon Forge, Treehouse places you just minutes away from Dollywood, Wonderworks and Hollywood Wax Museum with swift access to all the best attractions that the area has to offer! 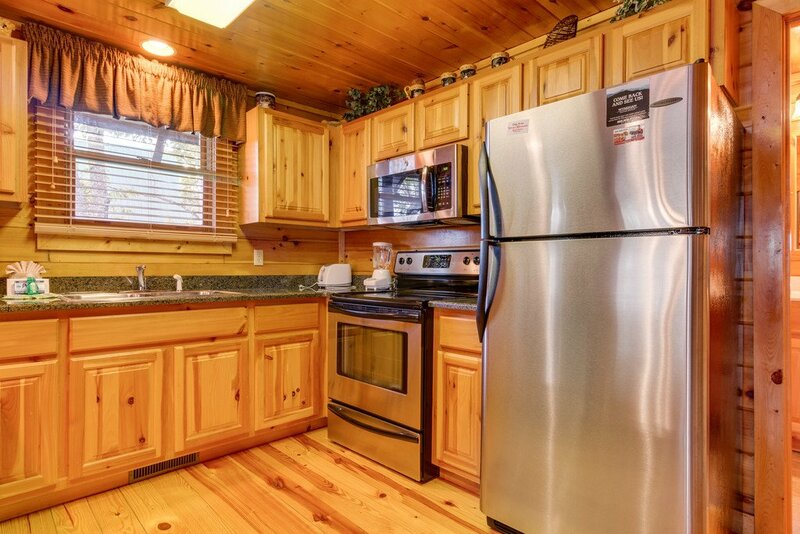 Looking for dinner with entertainment? 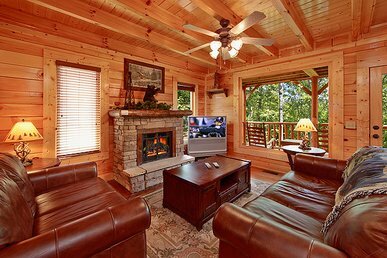 With a wide array of choices such as Dixie Stampede, Murder Mystery Dinner Theater or Lumberjack Feud Dinner Show, always an good time. 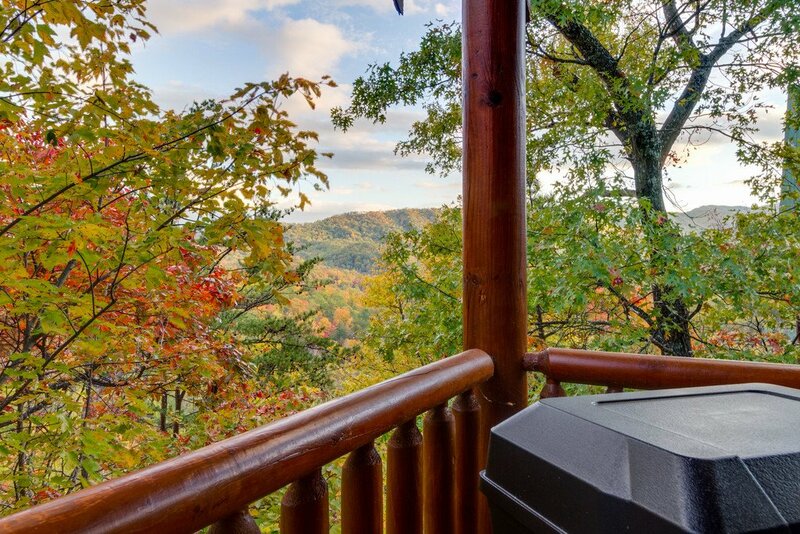 For a family fun experience with restaurants, attractions and shops, stop by The Island in Pigeon Forge and take a spin on The Great Smoky Mountain Wheel, the all-glass gondola takes you up 200 feet for a remarkable view of the Great Smoky Mountain National Park. 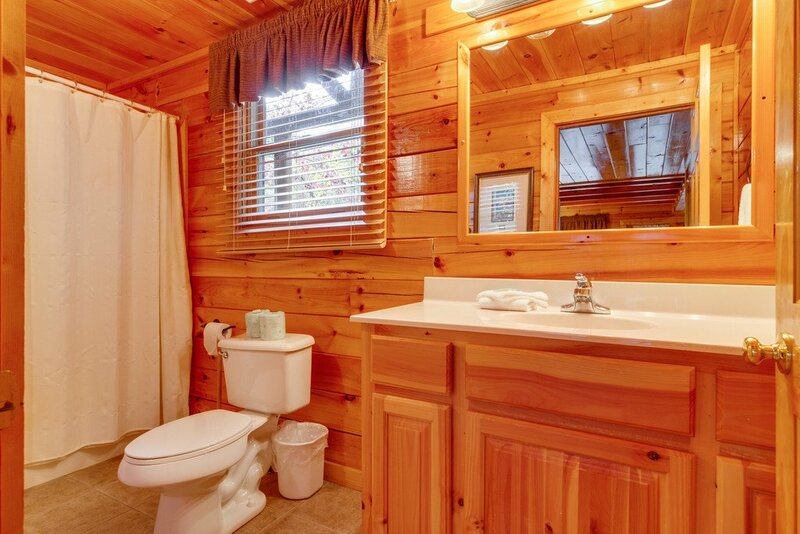 After the spin on the wheel, seize a rocking chair to enjoy the fountain show choreographed to music with lights. 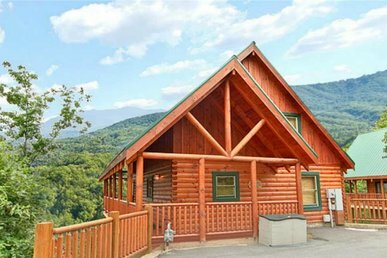 Just a touch further on down the Parkway, visit charming downtown Gatlinburg, with so much to do you may have to come back! 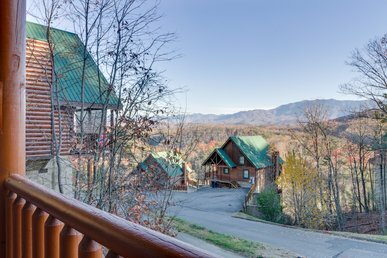 An assortment of Ripley’s attractions are available, mini-golf of all skill levels and don’t miss the Great Smoky Arts and Crafts Community. 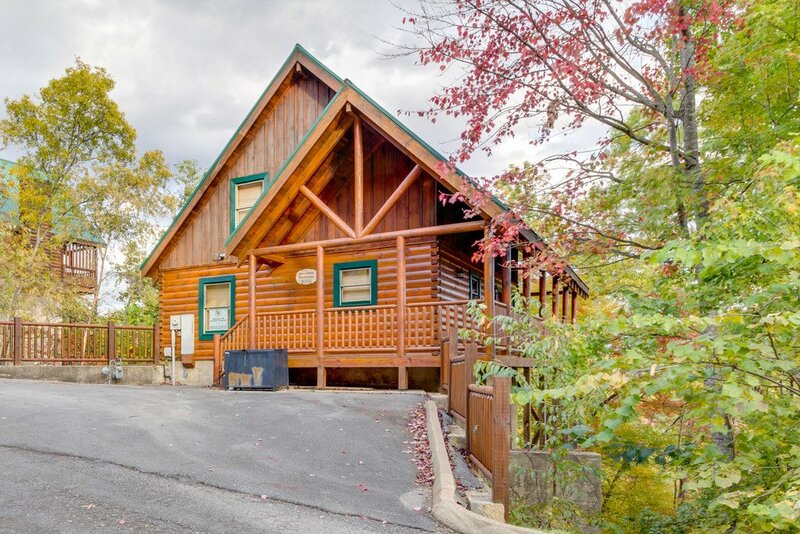 Catch the moonshine bug with a stop at the Ole Smoky Distillery, offering free samples of an assortment of flavors. 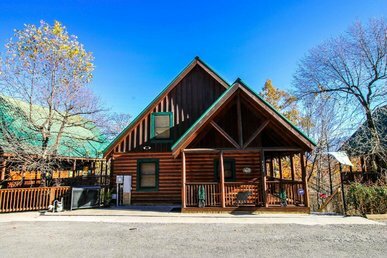 For an adventure like no other head over to CLIMB Works for a zip line canopy or a mountain biking tour where they provide the trails and bikes for a unique mountain biking experience. 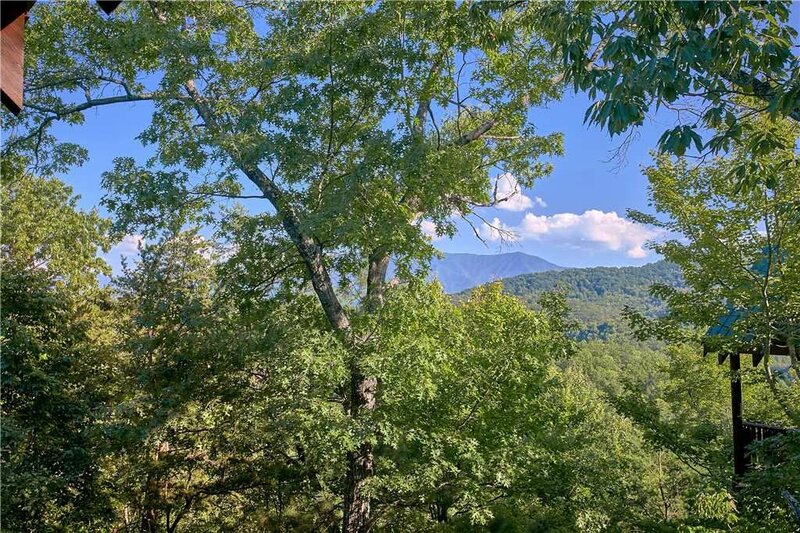 Enjoy the refreshing mountain air and panoramic views with an easy hike along Boulevard Trail or for more of a challenge try the Rainbow Falls Trail where you will be fascinated with the remarkable view of Rainbow Falls, the highest single-drop waterfall in the Smokies. 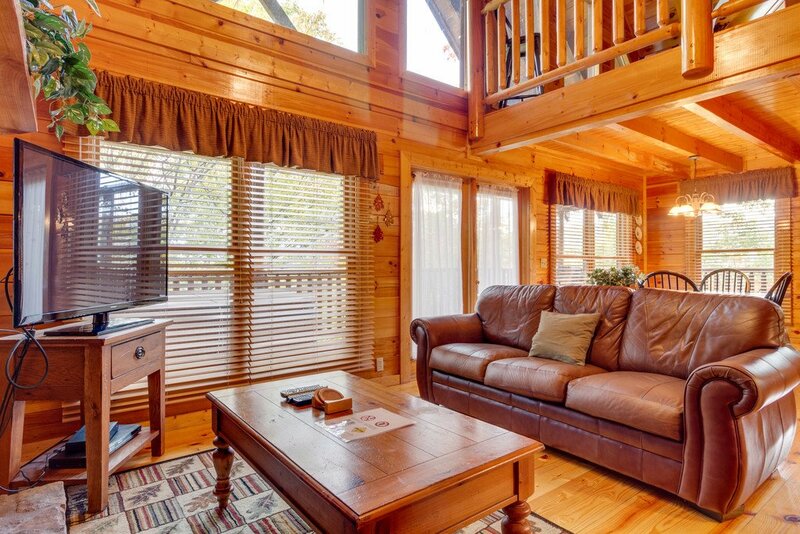 Whether it is the natural surroundings, shopping, catching a show or attractions, whatever your adventure, while staying at the Treehouse it’s all only minutes away.